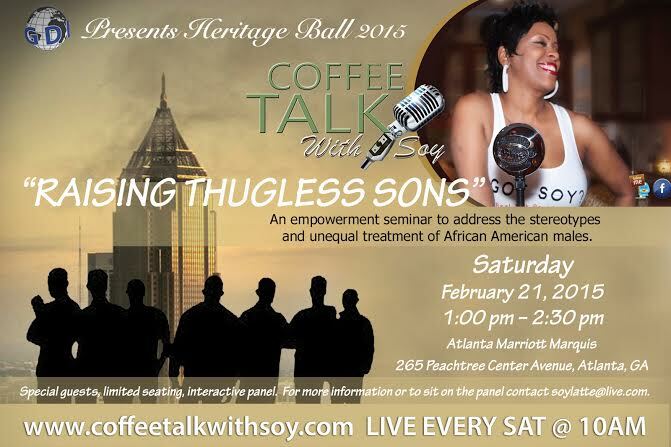 When did “thug” and “thug-life” become status symbols for Black youth to achieve? This was a question asked at a recent seminar: “Raising Thugless Sons,” of which I was a participant. The seminar was sponsored by Good Deeds International, and hosted by Dawn “Soy” Kamara, of the Coffee Talk with Soy radio show. Panelists included: Tiffany Burney-Foy, Ed.S (single, teenage mother of four now Assistant Principal in the Atlanta Public Schools); Dainhen Butler (CEO, Fun Time Moon Walks and radio host); Geoffrey Ingram (co-founder of iCreate Leadership Development Initiative, Inc.); Wilford Y. Smith, Jr., MPA (First Vice Chair of the Douglas County Democratic Party and retired Senior Corrections Officer with the New Jersey Department of Corrections); S. Candee Whitfield (Licensed Professional Counselor); and Benjamin Downs (Social Worker, Langston Hughes High School). During the discussion, it was evident that there was a generation gap with the definition of the term “thug.” The question to ask is: Why are we trying to redefine a term, which represents individuals, whose actions have no positive impact on the advancement of the Black community? One thing that the entire audience could agree on is that a change in the self-destructive behavior and mentality, of young, Black men is needed. 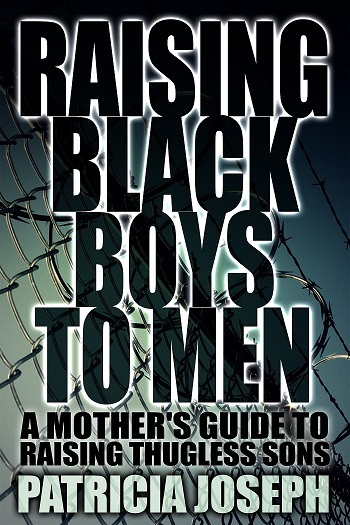 I’m still promoting the idea that raising thugless sons begins with the teaching and educating of Black boys, at an early age. The conversation has begun — time will tell whether the conversations will help bring about change! Across the United States, less than 50% of young, Black males graduate from high school. Many of them in the twelfth grade read at a significantly lower level than their counterparts. It’s really sad that many young, Black men are allowed to graduate from high school without a proper education. They’ve been pushed along in school, for one reason or another, because no one cared enough about them, to invest in their future. While in college, my daughter had classmates who couldn’t write good, grammatical sentences, let alone write an essay. This is incomprehensible! A lack of education impacts the quality of living and limits opportunities for success. What type of employment is available for someone who can barely read or write? Education allows a person to pull themselves up by their own bootstraps. Without education, the road leads to nowhere!